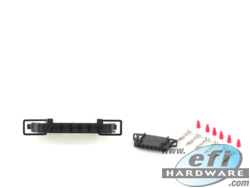 Check out our wide range of 6 Pin EFI Connectors and Plugs. If you don't find what you are looking for here, just drop us a line and we will see how we can help. 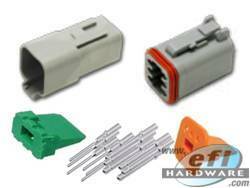 The Deutsch DT Plug holds the Size 16 Female Socket Pins. This part ships with Terminal Locking Wedge. 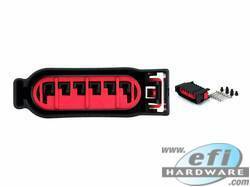 The Deutsch DT Socket holds the Size 16 Male Terminal Pins. This part ships with Terminal Locking Wedge. 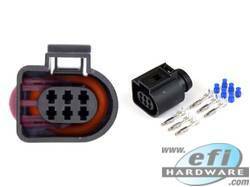 The Deutsch DTM Plug holds Size 20 Female Socket Pins. This part ships with Terminal Locking Wedge. 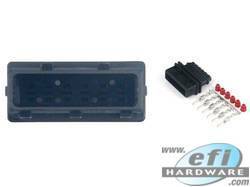 The Deutsch DTM Plug holds Size 20 Male Terminal Pins. This part ships with Terminal Locking Wedge. Accelerator pedal connector for FG Falcon. 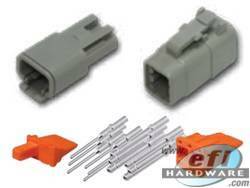 Connector is supplied with pins and seals. 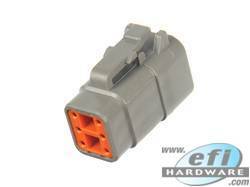 This Connector is used with the Bosch LSU 4.9 Series Wideband oxygen sensor. This connector plugs into the Bosch LSU4.2 Lambda Sensor. Use this connector, plus our connector H-OXYLSU42MC to make an oxygen sensor extension cable. This connector plugs into the Bosch LSU4.9 Lambda Sensor. Use this connector, plus our connector H-OXYLSU49MC to make an oxygen sensor extension cable. 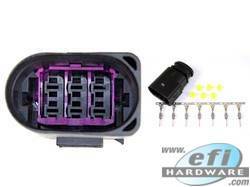 This connector is the same male connector as the Bosch LSU4.2 Lambda Sensor. 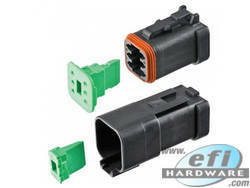 Use this connector, plus our connector H-OXYLSU42C to make an oxygen sensor extension cable. 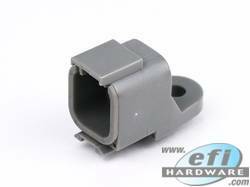 This is a great way to cover a comms or auxiliary input/output from your ECU to stop dust, dirt and moisture entering the connector. 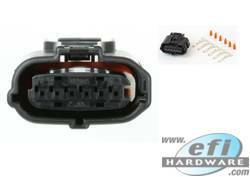 This connector cover mates with the D-DTM06-6S-W DTM connector. 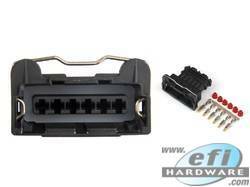 This connector suits late Ford drive-by-wire accelerator pedal applications. 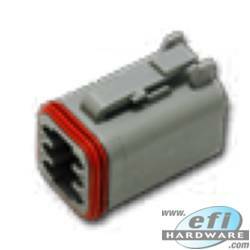 Ideal Connector for relocating/extension Harness for a VE Commodore Drive By Wire Throttle.